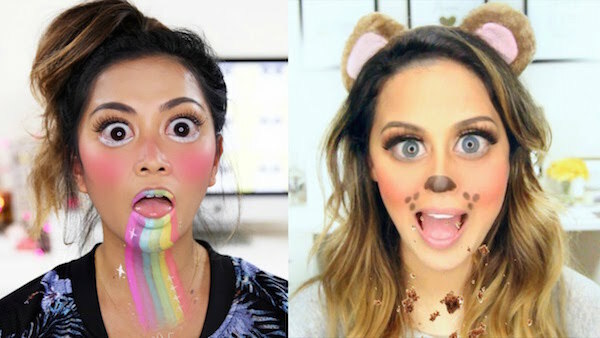 With Halloween around the corner, many of us are picturing ourselves as witches, monsters, or even human Snapchat filters. When choosing a Halloween costume for yourself and your children, do you consider the safety of the costume? Last year, we warned you of the dangers of wearing non-prescription costume contact lenses. Also consider the safety of any eye makeup that's applied near the eyes or on the eyelids or lashes. Throw away any makeup that's over three months old. Bacteria can grow more easily in cream or liquid makeups. If you've had an eye infection, throw out any eye makeup immediately. Never share eyemakeup. Be careful when sampling at stores. Avoiding samples all together is safest, but if you must, use a fresh applicator. Wash your hands and face well before applying eyemakeup. Only apply makeup outside the lash line. Otherwise, you risk blocking oil-producing glands in the lids, which can lead to infections, irritation, or dry eye. Do not apply your makeup in a moving vehicle - you risk accidentally poking your eye! Avoid glittery makeup if your eyes or sensitive. Glitter is a common cause of corneal abrasions. Always completely remove your makeup before bedtime. Use a clean cotton swab at the base of the lashes to thoroughly remove any residual makeup. Have a Happy Halloween and BE SAFE out there! If you do run into any eye scares, the doctors at Grin Eye Care will be ready to help. Just call!